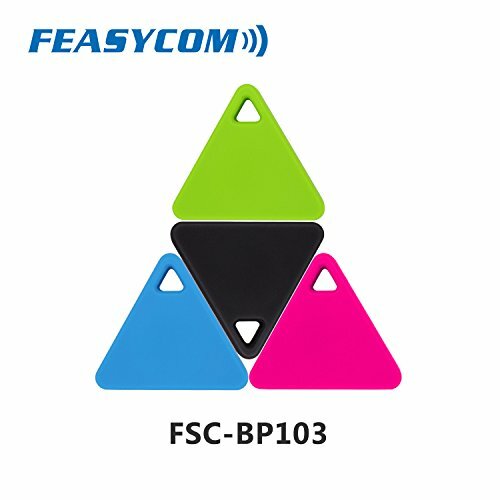 FeasyBeacon Mini adopting the TI CC2640R2F chipset, the newest bluetooth 5.0 low energy technology,with 300 days long work life guaranteed via high quality CR2032 battery. Transmit distance reach up to 80m. 1. For iBeacon broadcast, users need a mobile app for receiving notifications. For Eddystone (URL/UID) broadcast, user can use free nearby/Physical Web/Beacon Tools for receiving notifications.2. This product is ideal for programmers or users who familiar with beacon technology. 1. Take out the insulating strip. 4. Search the BP103 Beacon via FeasyBeacon APP, on "setting" page, input "000000" password, enter to the configuration area, input URL or UID. 6. Exploring your proximity marketing(broadcast business notification) experience. Free APP (Feasybeacon) and SDK available for both Android and iOS system. All major parameters can be modified via "FeasyBeacon ", include device name, TX power, advertising interval, password etc. Default password: 000000. Up to 80m work range (in open area), support 10 slots broadcast. Based on TICC2640R2F Bluetooth 5.0 low energy module, powered by 1*CR2032 battery, for nearly 300 days battery life. Comply with Eddystone UID& URL and iBeaocn format broadcast which can be configurable for non-connectable advertising frames. Particularly suitable for retail, stadium, museum, hospital, exhibition, hotel, restaurant etc.